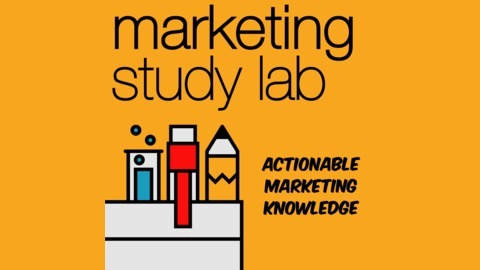 What will you get from the Marketing Study Lab podcast? 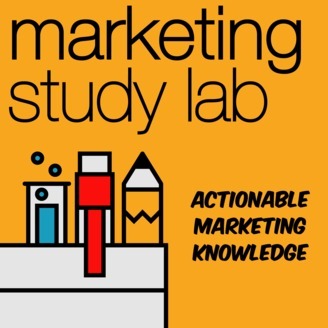 Created for those with a Passion for Marketing but specifically aimed at anyone that is currently tackling a Marketing Qualification, including CIM (Chartered Institute of Marketing) Exams and Assignments. We bring you hints and tips to help with your studies, as well as interviews to inspire and motivate with Superstars from different industries and specialisms, offering you an incredible insight into their specific field of expertise. Plus, we'll be taking a look at the latest CIM Assignments, discussing each specific question and how you should be tackling it. Then we can all take a deep breath and get studying. Enjoy, Happy Marketing. What is the difference between a metric and a measurement? So easily interchangeable aren’t they, but they do have subtle differences that we need to discuss, which we will be doing later, but first it’s time to chat to Jacqui Jagger. Jacqui is a mindset and business coach who helps hardworking, ambitious business owners to stop overthinking and start taking action to grow their business. More importantly from an assignment point of view, Jacqui can help us understand how to stop playing around the edges and start making definite, purposeful progress so that you feel like your studies and writing is always making progress, which it inevitably is. The best thing is, there is no fluff or BS. We train our bodies, we look after pets, we even buy insurance for our phones, rings, watches and household appliances, but do we pay as much attention to our minds and mindset, which is probably the most important of them all…. And there is no insurance claim to be had from lack of mindset. With this in mind I wanted to go deep with the opening question, Jacqui - Marshmallows and Spaghetti…. Discuss? You don't know where you want to go, if you don't know where you are to begin with. - Why do you not have the time to do everything you want to? Jacqui says that we fill our time with: - The should dos - The Habits we have - And then we add the other things on top of this that come up…….No! Stop! Get clear and get focused on what is important. Create a plan that works for you and use it! - And finally, find that trigger that will break a habit or create a new one. Want to go to the gym more, put your gym stuff out ready, or tie your running shoes to the front door! That way it is in front of you and not to the side hidden away. But make sure you only change one thing at once, don’t be fooled into thinking you can change everything at the same time, overnight. This will lead to overwhelm and falling back into the same old habits. Mastering metrics can be difficult, especially in an assignment scenario (Mastering Metrics is one of the CIM modules at level 6). But what are the differences between the two? Hopefully in explaining these, your assignment and the wording behind it will become much clearer. So what is a metric. In marketing terms a metric is something that can be based on a standardised procedure, calculation method or system for generating a number, compared to others. A measurement is slightly different, as it is the number that is generated by taking a measurement that doesn't necessarily have to be taken in the same way every time and it is not compared to another. It is its own single entity. You’re asked to measure the size of a room – this would be your measurement. Then you are asked to provide the average size of all the rooms in a house, this outcome would be the metric outcome of all the measurements. So if you are asked for measurement techniques think of the things that do the measuring. For metrics, think of the things that are looked at in comparison to each other.